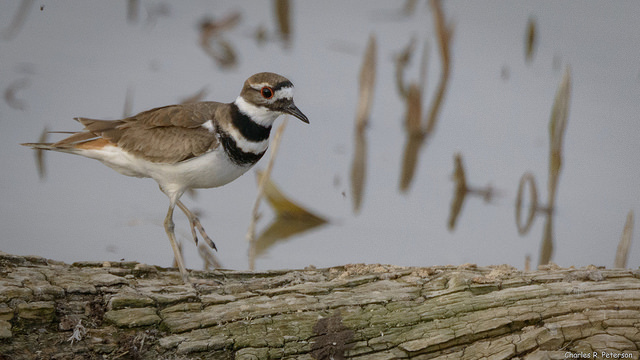 The Killdeer is a North American plover, that can be seen in England, especially in winter. 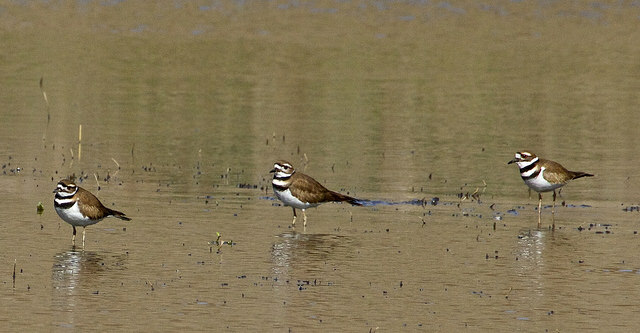 It's a big plover with a relatively long tail. The rump is a conspicuous reddish-brown.